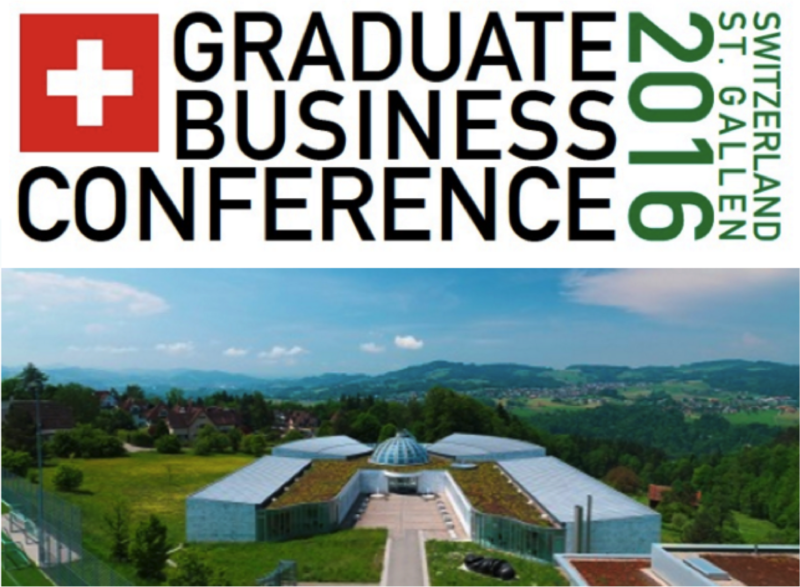 The Graduate Business Forum is excited to announce that the 2016 Graduate Business Conference welcomes GBC alumni. Attendees and organizers of previous conferences are invited to this Alumni Summit to be held from April 5-8, 2016 at the University of St. Gallen in Switzerland. The theme to be explored this year is “Giving Back: The Responsibility of Future Leaders”. The 2016 Alumni Summit is an unparalleled opportunity to network with peers from many years of Graduate Business Conferences, including this year’s Graduate Business Conference Student Delegates. The Alumni Summit is open to everyone who has previously attended a Graduate Business Conference (as a delegate or as an organizer), and it will be the biggest alumni reunion in the history of the GBF. Check out what happened at the last Alumni Summit here. 3 meals a day and snacks throughout the conference… and much much more!! Further, Alumni will have access to special negotiated rates at hotels selected by the Conference Organizers for their good quality. You may register for your stay through this link. For more information, please check out our Conference FAQ. We will tailor speakers, discussions and content to the interests of those attending based on the registration form. We look forward to meeting you once again, this time at GBC 2016 in St. Gallen! If you are an alumni, but not yet a member of the LinkedIn group, you are welcome to join here. To keep up-to-date on GBC2016 activity, participants and speakers, you can join the Facebook group of this year here. Watch these GBC2016 teaser movies to get in the mood now!